THE Bligh government's cumbersome south-east Queensland water bureaucracy will cease to exist next Tuesday, replaced by a new single bulk water authority. Seqwater will replace the three former water authorities, LinkWater, the South-East Queensland Water Grid Manager and the former Seqwater. The Queensland Water Commission will also be abolished on Monday. 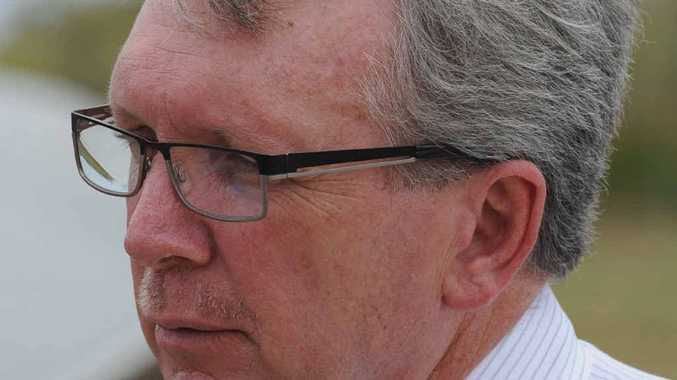 Water Minister Mark McArdle said the new entity would be committed to excellence in service delivery and catchment management at the lowest possible cost. "Legislation covering Seqwater's operations is in place, and between now and New Year's Day, the necessary administrative changes will be finalised to wind up the existing entities and transfer responsibility to Seqwater," he said. Mr McArdle said Seqwater would focus on a lowest-cost-possible water supply to met the needs of three million water customers. However the Newman government's decision to scrap compulsory rain water tanks on new homes has been heavily criticised by industry body The Water Tank Group who funded independent research which showed existing homes with tanks reduced water demand by 21.2 gigalitres annually at an infrastructure saving of $1.4 billion. The research estimated that if compulsory tanks for new homes had been maintained savings would amount to 107 gigalitres annually by 2056 and reduce infrastructure needed by $7.75 billion or $6500 per household. Mr McArdle said amalgamating the former entities and abolishing the commission to form a single bulk water supply authority servicing south-east Queensland would reduce board and executive costs and enable the new business to rationalise administrative and corporate costs. Mr McArdle has appointed former Unitywater CEO Jon Black as the director general of the Department of Energy and Water Supply on a salary reputed to be about $600,000 a year. He said the creation of Seqwater delivered on the government's election commitment to simplify the complex, costly bulk water supply sector and reduce cost of living increases pressures for SEQ households. "Seqwater will deliver the Government's vision to plan properly for south-east Queensland's future water needs and in early 2013 will develop its corporate strategy and plan setting out its objectives and priorities and their expected outcomes," Mr McArdle said. "Cutting duplication and creating a single, more streamlined water authority will result in improved planning and efficiencies for the state's future water needs."